Before Australians get too excited, we should probably mention at this point it’s Sydney, Canada – not Sydney, New South Wales. Still, it’s an interesting story. According to the Cape Brereton Post, Health Canada has awarded Highland Hemp an industrial hemp commercial licence for the production of hemp oil and related products. The crop will be planted on the former coke ovens site in Sydney; which has already been remediated and will have another 500 truckloads of topsoil spread over the grounds. According to Wikipedia, runoff from coke ovens associated with a nearby now-defunct steelworks filled the tidal estuary at the mouth of Muggah Creek with various coal-based contaminants and sludge, creating tar ponds. The site was remediated during a 10-year, CAD $400 million clean up. On a related point, hemp also has phytoremediation properties; an ability to help clean up soils contaminated by heavy metals and other toxins, although those properties are not being tapped in this case as the work has already been done. CEO of Highlands Hemp, Parker Rudderham, says he plans to sell hemp seed oil via his pharmaceutical company, Pharmacy Wholesale Services. His focus will be on Europe where there is already an established market and strong demand. 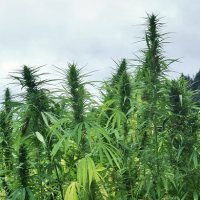 Canada’s Industrial Hemp Regulation Program permits Canadian farmers to grow low-THC cannabis for industrial use, under controlled circumstances. The first licence to grow industrial hemp for commercial purposes was issued in May 1998. Only seeds of approved industrial hemp varieties that have THC levels lower than 0.3% in their leaves and flowering heads can be planted. THC is a psychoactive compound; but other non-intoxicating compounds present in hemp are highly prized; the major one being cannabidiol (CBD). Approximately 100,000 acres of industrial hemp was being grown in Canada last year. While Canada is well ahead of countries such as Australia, there’s still some dissatisfaction among hemp growers in the country who say they are not permitted by law to make use of the entire plant. However, given the license that Highland Hemp has reportedly received, perhaps that will change reasonably soon. Previous articleHemp Seed Oil Better Than Olive Oil For The Heart?